What started out as a hobby for Deb turned out to be one of the best career choices she could have made, eventually establishing Sensational Cakes…and More! This baker’s popularity grew when friends and family tasted her delicious treats. From there she learned everything she could about baking and hasn’t stopped making cakes and desserts since. This is one of the best cake bakeries in Ohio to make your wedding cake when you consider the time, effort and love that Deb and her team will put into it. The cake you have at any celebration will act as the centerpiece, whether it is a baby shower cake, birthday cake, or a wedding cake. Coley’s Cakes realizes the significance of these desserts, which is why they work to make unique cakes that are original in their design and mouthwatering in their flavor. 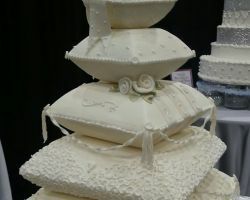 With wedding cakes starting at the minimum price of $400, these cakes are not the most affordable option but they are the most beautiful and custom option available. Slices is a store famous for the delicious pastries and cakes made daily in the shop, but they are become more widely known for their ability to make delicious and beautiful wedding cakes and special occasion desserts. 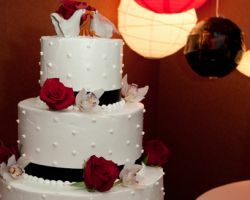 Offering unique cake toppers and a variety of flavors, couples can customize a cake to represent their tastes as a couple. 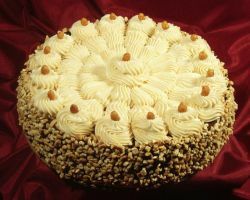 For over 25 years this shop has been perfecting their baking skills to now offer the very best desserts in all of Ohio. Bonbon Pastry & Café is known for making delicious cakes that melt in your mouth. This shop makes cakes in unique and exotic flavors as well as the classics. They have everything from s’mores to cinnamon banana to vanilla bean and so much more. Each of these cakes is made to perfection using a combination of rich flavors and sweet frostings. For your Cleveland wedding cake, this shop is the best at making something that will satisfy your sweet tooth and will also be beautiful at your reception. 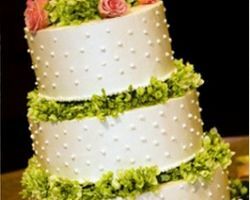 Wedding cakes in Cleveland, OH made by David Bakery & Deli are made with the freshest and highest quality ingredients available giving them an unbeatable flavor. With such flavor, it is no surprise that these bakers have also mastered the decoration of these cakes using deliciously sweet icing. 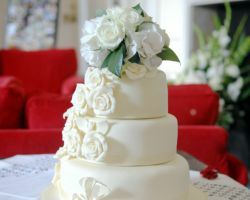 For over 75 years, this company has been making beautiful wedding cakes that are superior in flavor and style, which is exactly the kind of cake you need for your wedding day. Landerhaven is a company made up of master chefs in their fields. From the baking to the catering these experts know how to please any palate. The baking and design team have made countless custom wedding cakes that not only top any expectations in design but in flavor as well. 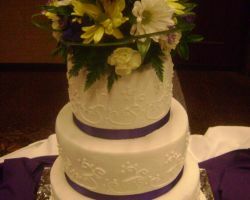 Having these professionals make your cake guarantees that it will be something you will love and so will your guests. Have your sweet tooth completely satisfied by a custom cake made by the bakers at Landerhaven. Detailed decoration and expertly baked goods is the focus of the team at Cake and Candy Center. This company makes custom cakes that are suited to your event and your style, which is perfect for weddings and birthdays alike. 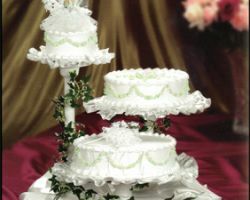 When you have these experts make you’re a wedding cake, you can be sure that the confection will represent you as a couple and reflect your personal tastes. What could be more special than a dessert like this to celebrate your big day? For those with a sweet tooth, choosing the wedding cake might come second in importance only behind the venue and the dress. 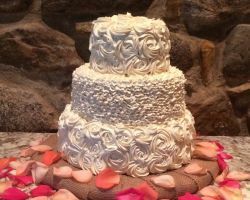 T’Cakes specializes in making delicious wedding cakes in a variety of flavors that will not only satisfy your sweet tooth but also come in your favorite flavor combination. This company lists all of their flavors, sizes, prices, and options for custom work to be done clearly so clients know exactly what they are getting and how much it will cost them. 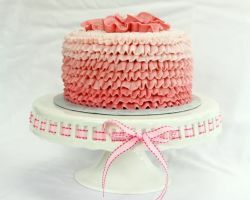 It is clear from the very first time you see a confection made by Delectable Delights by Debbie that this expert baker has a passion for making beautiful cakes with unique designs. From the rich and moist cake that is baked to perfection to the beautiful towering custom design used by this expert, your cake will be delicious and one-of-a-kind. Putting a $50 deposit down, reserves the services of this shop for your big day, as each cake is baked as close to the event as possible.